New flat screens, cute and cozy with gas fireplace to keep you warm on cold winter nights! Sawmill Meadows M10 has it all! 4 WHEEL DRIVE MANDATORY! 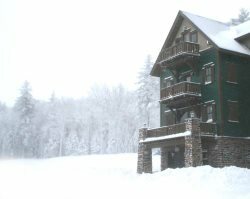 This 2 bedroom, 2 bathh townhome is walking distance to the Snowshoe Village. During the winter walk out your unit and down the path to the village where you can find restaurants, shops, pools, and other outdoor activities. The unit has a spacious mudroom for all your equipment. Through the mudroom you have the full kitchen and dinning room. Towards the back of the unit is your living area with a gas fireplace and a door leading to your deck. Upstairs are the bedrooms, master bedroom (Q) and the 2nd bedroom (T,T). During the summer play games in the back yard and have a picnic. This unit has everything you would need to make your vacation in the mountains perfect.